Purchase your Xbox Live Gold Key with your favorite payment method here at Gamesrocket! Redeem your code within your Xbox Console. Then you can use it to buy Xbox One Games, music or movies. You can also extend your Xbox Live Gold Membership and start with Online-Gaming for the best Xbox experience. 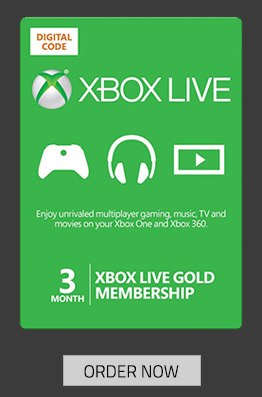 Here at Gamesrocket you can buy Xbox Live Value Cards or Xbox Live Gold Membership. With the purchase of Value Cards or Memberships for Xbox Live you will get your Xbox Live Key, which can be redeemed within Xbox Live. Thanks to the Xbox Live Value Cards the Purchasing of Xbox One games was never as easy as it is now – thanks to Xbox Live Downloads and Gamesrocket. 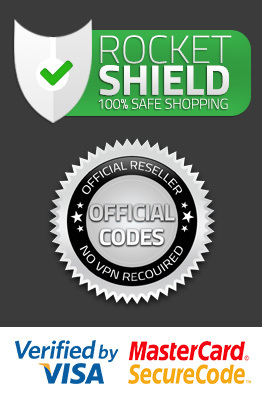 You can use PayPal, paysafecard, Amazon Payments, Credit Card and many more payment methods to get what you want. Here at Gamesrocket, you can buy Xbox Live Value Cards and Xbox Live Gold Memberhipt Cards. Receive your Xbox Live Code via eMail shortly and use it to start your Xbox Live Gold Membership or to store some Xbox Live Gold credit..